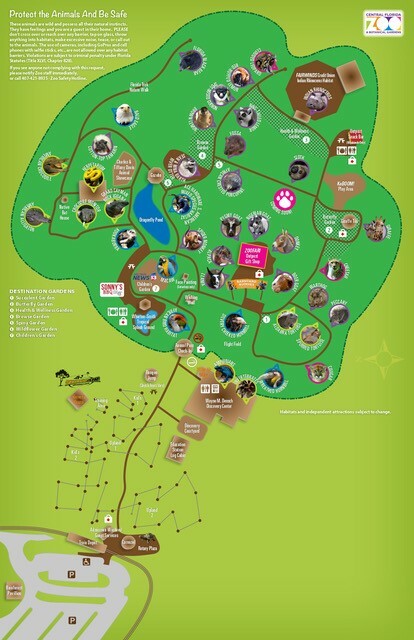 DonateShow your support for the Zoo. CommemorateYour gift can change our world. Violaceous turaco are covered in melanin-rich, deep purple feathers. The red in their feathers comes from turacin, a copper pigment. 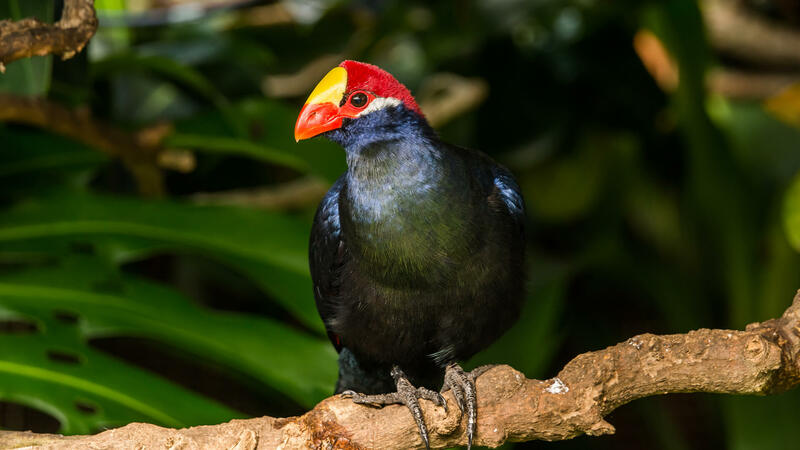 Turacin is only found in turacos! The violaceous turaco is the only species of turaco that lacks a crest on top of its head. Instead, these birds possess large yellow shields above their bills. Their plumage is remarkably colorful, especially around the face and head. These African birds love to eat fruit and insects, but they drop more food than they get in their mouths, which provides food for animals on the ground and aids in seed dispersal. These birds run along branches in a crouched position, using their semi-zygodactyl toes to nimbly grasp onto bark. They live among treetops in somewhat large groups, well-camouflaged and bounding from tree to tree in search of food. When nesting, both birds will share all parenting responsibilities, from egg incubating to rearing young. Their eggs look just like ping pong balls! These African near-passerines may be predominantly arboreal, but they aren't the best fliers. They prefer to hop from branch to branch, only flying in short bursts or gliding when hopping won't suffice. At a quick glance these birds are pretty inconspicuous, but if you manage to see them in flight you will see a vibrant red flash of color under their wings. Sometimes they will use this flash of color to scare away predators or other threats. Turacos have special, colorful pigments in their feathers that are composed of chemicals derived from the birds' diets. The vivid red pigments in the feathers of the violaceous turaco are completely unique to these birds! Violaceous turacos breed during the rainy season. The female will lay 2-3 white or light green spherical eggs in a shallow platform-style nest close to the ground. Both the male and female will care for young, taking turns feeding their chicks regurgitated fruit.